Opened in 1992 for the Winter Olympics, La Tania is situated between Courchevel and Méribel, giving you great access to the Three Valleys. Considered as part of Courchevel, La Tania offers easy access into the Three Valleys via a gondola which takes you up to the Courchevel slopes. Snow permitting, it is possible to ski back down to the resort. It is a small development with apartment blocks and some pretty piste-side chalets. La Tania is a compact resort, easily reached by road, nestling between the Courchevel and Meribel valleys. In summer time, the area turns into a wonderful place to explore - on foot or on bike, with lifts open to get you up the mountain with ease. There are also a number of water activities to enjoy, such as canyoning and rafting. 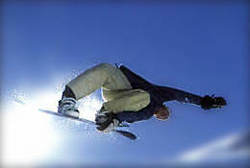 parapenting, bowling, ice karting, tobogganing, ice climbing, heli-skiing, snow mobiles, swimming pool, fitness centre, squash. swimming pool, fitness centre, climbing, mountain biking, walking, beautiful scenery, rafting, canyoning, horse riding. la tania is a quiet village with a small range of restaurants. centred around the Ski Lodge which can get quite lively and is British run. walking with snow shoes, husky rides.